With grand jury resistance here in NYC, Feds sneaking around in Southern California, and other campaigns & projects across the country, anarchists have their hands full. The work that’s happening on these projects is, in many ways, inspiring. With that inspiration, there are plenty of reasons to become directly involved. It is in the spirit of direct involvement (and the magick of Halloween) that we host another Political Prisoner Letter-Writing Dinner. 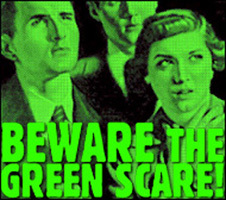 And what could be more ghoulish than the Green Scare? Since the early 1980s, public relations hacks have been working to reify the term “eco-terrorism.” By 2004, they became successful and a phrase that a decade earlier had no real meaning was now defined by the United States government and used to introduce legislation. Now we have comrades serving decades for economic sabotage and allegations of thought crime. With several recent animal liberation actions, and Rebecca Rubin facing 5 to seven and a half years, it is clear that Earth and animal liberationists are both still active and still in the cross-hairs of the feds. Join us in letting them know they are not forgotten.